A year ago, I had soreness in the left hip which caused me discomfort when I would sit and I would frequently wake up in the middle of the night in pain whenever I would turn on my left side. In addition, my left leg felt constantly numb and I would have to walk at least 30 minutes to get temporary relief. I had been to an osteopath and for physiotherapy but with no success. Finally I went back to my family doctor and asked her to recommend a chiropractor. She recommended Dr. Skolar. Shortly after beginning treatment with Dr. Skolar, the numbness in my left leg disappeared. He also gave me specific exercises for my hip and in conjunction with regular treatment, my hip pain also went away. Thanks to the treatment I received from Dr. Skolar, I no longer have pain that disrupts my quality of life. I'm a competitive gymnast. After a hard day training at the gym, my back really hurts. I have been getting treated by Dr. Skolar and immediately after getting treatment, I always feel better. It's been 3 years since I have been living with pain due to recurrent cervical sprains. I'm a big sports fan and I'm very athletic. Due to my current neck problem, I always have to be extremely careful because of this weakness. After my third sprain, a friend told me about chiropractic and Dr. Skolar. After just one session, I instantly felt much better. I was treated intensively for 3 weeks, and immediately felt significantly better. I now go once per month for prevention and maintenance care. Since I started getting treated, I feel much more mobile, less muscular tension, and more comfortable when doing exercises and athletic activities. Dr. Skolar does not only work on the spine and bones, but also the muscles and everything surrounding the cause of the problem. This allows you to recover faster and heal completely in the long term. I recommend Dr. Skolar to all my friends. In addition to being very knowledgeable, he is an extraordinary person. I have been experiencing terrible low back pain for the past 20 years. In 2003, my pain got so bad it affected the quality of my life as well as my ability to function on a daily basis. I always felt exhausted, and had to move very slowly to avoid pain. My work is very physical and involves standing all day. I got to the point where functioning on a day-to-day basis became progressively more and more difficult. When I consulted Dr. Skolar, he performed a very thorough physical exam and found a fracture in my spine. After the first few treatments, I started to feel much better and my pain went away almost immediately. I now have much more energy and I am much happier with my job. I am now able to work more efficiently. Today I have no low back pain at all. Thank you so much Dr. Skolar for improving the quality of my life. I have been experiencing chronic pain for many years that truly affected the quality of my life and it was strongly suggested that I contact Dr. Jason Skolar to improve my health. Upon the first visit I was extremely impressed with his extensive knowledge, enthusiasm and passion for helping people. Since starting treatment I have never felt this good! I would strongly recommend Dr. Skolar's services for anyone who is looking to improve their health. Thanks Dr. J for giving me my life back! I am very pleased with the treatments I received. My lower back is doing much better. You took the time to transmit your knowledge and gave me great advice. You went beyond the treatment by giving me great tips on having a healthier lifestyle. Thank you for the supplements you recommended. I feel healthier and more energetic. Your passion for the field is contagious you are very dedicated to the wellbeing of others and I'm very grateful to have met you. I will not hesitate to recommend you to my friends and family. Thank you for making my life more enjoyable. Live passionately and god bless! 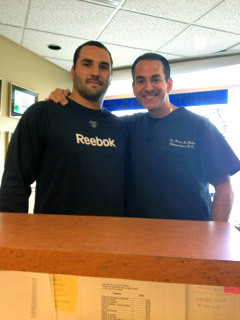 Thank you Louise and Dr Skolar for the professional care offered these past 8 years. I have recently been hospitalised at the MUHC-MGH. The beds here are very comfortable and the floor has been recently renovated (2 years ago). I contribute my spinal health to you as well as the spinal health of my daughters Lydie and Vicky. Alexis would be due, but we are on a tighter budget until my release. Keep up the excellent work!!! From the first adjustment I got from Dr. Skolar, I was already feeling better the next day...I had pain from my neck, upper back, lower back, knees, and every visit I have always felt better the next day..even while getting adjusted I would feel a difference, and was amazed! Twice I had gone to go see Dr. Skolar and felt a cold coming on, after my adjustment both times the next morning I felt perfectly fine and did not catch a cold, I could not believe it! Dr.Skolar is always patient and explains everything in detail each time, even my x-rays when I had tons of questions he took his time answered everything and explained even more which I found so interesting..which made Dr. Skolar inspiring to me because I decided to change my career path from Business Marketing to Exercise Science (Atheletic Therapy/Chiroprator) I am so interested and excitied to start my program next semester, and each time I see Dr. Skolar I learn something new! I just want to say a big Thank You Dr. Skolar! Today I went for my first ever alignment...I was terrified! I cannot believe how good it felt! 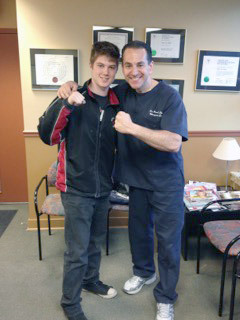 Dr. Skolar was great and explained everything to me in detail. The experience was very informative and I feel like a brand new woman! I would highly recommend Dr. Skolar. Can't wait for my next appointment! I pass here on your site to thank you. A month ago I couldn't walk because of a terrible back pain that lasted 3 weeks. As I came to see you, you helped me. I remember the first treatment with me asking a lot, really a lot of questions, because, as a massage therapist, I wanted to be sure of what my body was going to receive. I see you 2 times a week and I can't ask anything more. Moreover, you're helping me also with my sinus problem, that I have had for years and that I didn't know could've been treated with chiropractic. I discover something new and powerful for my health. Degenerative discs in the lower back, sciatica in my right side, pinched nerve in the neck, torn biceps muscle in the right arm, total hip replacements in both right and left hips, tennis elbow, arthritis in my fingers... this has been my medical history over the past 3 and a half years. Quite a variety of serious health problems for a fifty year old. 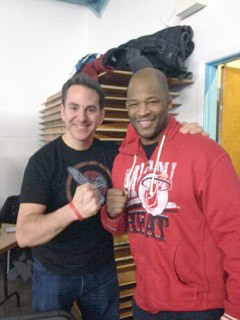 Aside from my orthopaedic surgeon, Dr. Jason Skolar has been the only doctor I have seen for my health care. Not bad for a 'Chiro'. From feet to knees, hips to back, and to my neck, Dr. Skolar has been there to perform his ART® (Active Release Techniques®) on my body. He has always been able to give me relief from my many aches and pains. Over the years, I have had dozens of physiotherapists, osteopaths, and other health care professionals work on my lower back, but to no avail. The pain continued to persist until a friend recommended me to Dr. Skolar. It only took a few minutes to know that he was no ordinary chiropractor. He used and continues to use his personal philosophy and chiropractic knowledge along with his ART skills to make an amazing difference in my quality of life that can now include biking and golf. I have recommended Dr. Skolar to dozens of friends, co-workers and family members, all of whom have experienced an improvement in their quality of life. Now, isn't that what it's all about! Thank you so much Dr. Skolar! I want to thank you for helping me to function normally again after not being able to do so for 4 long weeks due to a Snowmobile accident. I tried everything possible including seeking medical attention, various medications and simply giving my injury time. Everything failed. I could not sleep at night. I could not move to the right or left without being in incredible pain. I resorted to using my forearms as stabilizers to perform a simple task such as getting out of bed or even turning while in bed. I could not bend down. Walking was a nightmare! Each step sent jolts of what felt like fire up and down my body. I was told that with the results of my MRI surgery was the only option. Wanting to exhaust all options and being the type of person who doesn't take no as an answer, I am so glad I came into contact with Dr. Skolar. Thankfully being referred by a friend, I must admit I was skeptical that chiropractics or anything else for that matter would help. Being in such pain I figured it could not make things any worse! Once on your table and hardly feeling anything at all as you worked on me, I figured this too would prove useless. What a surprise! After just one session, I was 70% better. I was able to bend down and tie my shoe laces for the first time in 4 weeks. I slept a full night with some minor discomfort but I slept nonetheless. I followed your recommendations and used ice 20 minutes on 20 minutes off. It was amazing how quickly I recovered from what seemed to be a long drawn out painful turn of events that were to be my destiny before seeking your help. In just 4 sessions and 2 weeks time I was 98% better. Once again thank you for literally getting me back on my feet. When I hear of pain I don't hesitate to refer people to your trusting hands. 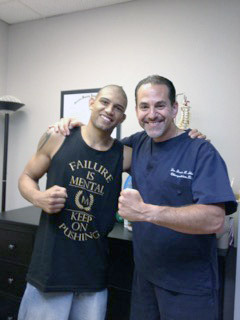 I had never been to a chiropractor until the day I went to see Dr. Skolar in January of 2008. He was my last hope! It was a week since I was in crucial pain with locked lumbar articulation, taking me 15 minutes to get myself out of bed in great pain. I could not even stand straight and could barely walk. A week earlier, I had gone to hospital emergency just to be sent back home with anti-inflammatory pills and painkillers. Diagnosis: acute case of scoliosis. A few days later, the side effects of the medications were becoming unbearable with stomach pain and dizziness. It was a fortunate coincidence when a friend mentioned Dr. Skolar and the extent she and her mother had benefited from his practice with 24 hour call service and very accommodating office hours. After one week of treatment, I was able to resume my office work and I could feel the tension in my lower back being eased much to my relief. A few months later, even my osteopath was able to observe that my scoliosis had improved noticeably. Now that it has been more than a year since I first walked in Dr. Skolar's clinic, I still continue my visits on a regular basis as prevention and for my general physical wellness.His technique, his approach to treatment, his caring nature towards his patients, as well as his energetic positive attitude, all add to his competency as an accomplished chiropractor. It is without any hesitation that I recommend Dr. Skolar's services, specially to those who are hesitant to visit a chiropractor for the first time. It's never too late! It is a wonderful feeling to wake up every morning without any aches and pains! Thank you Dr. Skolar for all your help! Until I met Dr. Skolar, I had suffered from chronic back and neck pain for years. Dr.Skolar performed a comprehensive evaluation of my case. X-rays were taken of my back. He really took the time to explain my condition and the necessary treatments in detail. Once treatments started, the pain in my neck and back began subsiding almost immediately. Dr. Skolar is extremely attentive to all of his patients. I've never had another doctor this dedicated and considerate towards his patients. Thanks Dr. Skolar! I was referred to Dr. Skolar by my family physician eight months ago for chronic pain due to a previous neck injury and back surgery. Since consulting with Dr. Skolar, I feel I have recovered my sense of energy and gained much relief from debilitating pain. His approach is unique in that he truly cares and takes the necessary time with his patient's. He has a sincere interest and concern regarding his patient's treatments and progress. He treats every patient as if they were his only one. I have and will continue to recommend Dr. Skolar with the utmost confidence to both family and friends, so they too may share in the positive balance of health and well-being I have been able to regain thanks to Dr. Skolar's efforts through treating me. I stubbed my big toe and had tennis elbow from playing computer games every day. I made an appointment to see an orthopaedic surgeon for a cortisone injection to help relieve the pain in my elbow and toe. But cortisone only camouflages the problem and doesn't fix it. I saw an advertisement for Dr. Jason Skolar and wondered if he could help me - imagine going to see a Chiropractor for a big toe and tennis elbow? I had nothing to loose and everything to gain. If he could help then I wouldn't have to get the cortisone injections - I hate needles. I made my appointment for the following week. I was afraid to see a Chiropractor because of all the stories I had heard. But there had to be some relief without needles or surgery. Louise his secretary made me feel comfortable and at ease right away. Jason welcomed me and asked what the problem was and when I was finished telling him he explained in layman's language what he could do for me and how long it would take. 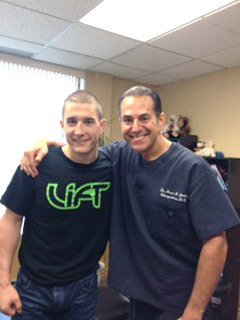 He is a very warm and caring person and makes his patients well being his number one priority. I haven't felt this good in years. My tennis elbow is gone and my big toe doesn't hurt any more. I would recommend seeing a Chiropractor and made a believer out of my husband.